Linking up with Katie and Tara today for a BB Brag! This month, we all got an email asking us if we wanted to switch up our BirchBox for a Goop Box? I read the email and was mucho confused as to what a Goop Box actually meant? At any rate, I got sidetracked and forgot to respond to the email, so I was stuck with my regular old BB this month. As the pun-tastic name suggests, this versatile luminizer imparts a soft-focus glow wherever we choose to apply it. Light-reflecting silica particles conceal blemishes and fine lines, while the honey color leaves a sheer wash of shimmer. It’s our secret to looking great in all settings, from fluorescent cubicles to candlelit cafes. Tea snobs love these hand-picked whole leaf blends from Mighty Leaf. Each satchel is cleverly marked with its caffeine content and correct brewing time, so you can make the perfect cup every time. In addition to being major taste bud treats, the teas are made with the best natural ingredients and are full of antioxidants. Each blend of organic tea leaves, dried fruits, and spices is neatly packed into a silken biodegradable pouch. We always thought of quinoa as a healthy lunch staple, but LiQWd’s lavish hair treatment is putting the super grain to a whole new use. This nourishing deep conditioner uses quinoa proteins to smooth stubborn tangles and guard against heat damage. A touch of grape and pomegranate seed oils hydrate dry strands, lending them silkiness and shine. Pro surfers can paddle circles around us, but we’ve got them beat when it comes to beachy waves. LiQWd’s styling cream lets us get effortlessly tousled locks without getting anywhere near the ocean. Infused with high-tech ingredients, the lightweight formula adds tons of texture and body, even if your locks are naturally straight. It contains a blend of moisturizing oils and extracts revive damaged locks, as well as an intoxicating floral scent. This artisanal lip balm is the best thing to come out of Oregon since Portlandia. Free of artificial ingredients, it’s made with shea butter, jojoba, and other natural hydrators. We love the dense, smooth texture and the sweet Pomegranate & Fig flavor (a Birchbox exclusive!). Plus, the indie cool design of its recyclable MIRON glass container will look right at home with all our sleek fab.com finds. I haven't gotten around to trying all of the products in my BB, but so far I am obsessed with the Mox Lip Butter and the Mary-Lou Manizer. I was not a huge fan of the Harvey Prince perfume and couldn't understand why it cost so much? 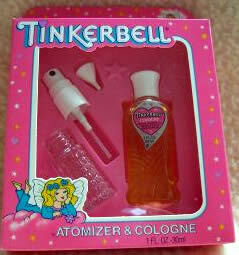 It reminded me of the Tinkerbell perfume that I had when I was little. C'mon...don't act like you didn't have this growing up?? Did you get a BB this month or a Goop Box?? Head over to Tara and/or Katies Blogs to join in on the fun! Oh that's so fun!! I have been deciding if I should do that or not! !